Dr. Joseph Buckley, D.C., B.S. Dr. Joseph Buckley is a 1992 graduate of Western State Chiropractic College in Portland, Oregon and did his under graduate at Florida Atlantic University. He has been serving south Florida since 1992. Dr. Buckley is inspired everyday helping people recover their good health naturally and regaining their Quality of Life. 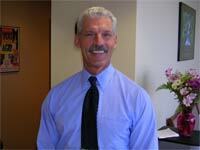 Dr. Buckley is high energy and fully committed to helping you regain and maintain good health. and lectured for UPS, FP&L, Walmart, Delta Airlines and many more. Dr. Buckley is married to his wife Carol and has three children, Kara, Savannah and Christian. He enjoys mountain biking, playing guitar and traveling. Dr. Damian Martinez graduated from Logan College of Chiropractic in 1991 and has been practicing in South Florida since then. He completed his pre-medicine studies at Meramec College in St. Louis Missouri. Raised in South Florida, Dr. Martinez returned to practice Chiropractic with a focus on holistic care with spinal health as the foundation. He has lectured in his office, out in the community and currently holds workshops a few times a week on various health topics. He has also been the host of High Performance Health and Healing on 1080 AM every Wednesday for over 12 years. 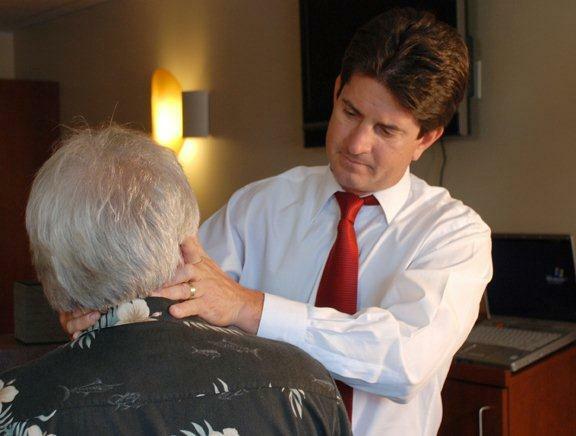 Dr. Damian Martinez was the past president for the Dade County Chiropractic Society 2 terms and was voted Chiropractor of the Year in Dade County in 1998 and 1999. In 2012 he was appointed as alternate delegate of Florida for the American Chiropractic Association. He is married to Dawn, together they have 2 boys, Dylan and Damian. He loves windsurfing, free diving, mountain skiing and worshiping God. Dr. D, as his patients call him, practiced for 20 years in Long Island, New York before he was lured to the “Sunshine State” by its wonderful weather and beautiful beaches. He ran three successful practices while in New York. His interest in sports paved the way for his achieving the status of “Certified Chiropractic Sports Physician”. As such, he worked with many college and high school athletes in the areas of injury prevention and sports rehabilitation. For many years he was the cycling coach for The Leukemia and Lymphoma Society’s “Team in Training”. In that capacity, he trained hundreds and hundreds of cyclist to compete in Century (100 miles) Rides. He is still an avid cyclist. Dr. D joined Pines West and Martinez Chiropractic in 2005. When patients find out he drives 122 miles round trip to the office, they ask, “how do you do it?” He answers, if you love what you do, love the people you work with AND love your patients, its easy! Dr. D is a lecturer whose presentations “Nutrition…The Good, The Bad, The VERY Ugly!”, “Sports Injuries and the REAL Way to Prevent Them” and “The Beat Goes On…The Road to Heart Health” are highly acclaimed. These presentations not only give you the REAL facts on improving your health and performance…they’re enjoyable and fun, as well. Dr. D, as well as the rest of the staff at Pines West Chiropractic, is looking forward to serving you and helping you become “a better you”.